Minimize your rolling mess with this RAW brand aluminum rolling tray. Easily collect the leftovers and add them to your next joint or blunt. This glass blunt is great way to get the convenience of a blunt or joint without the negative health effects of papers or a wrap. Twist the corkscrew to conveniently ash off the end. 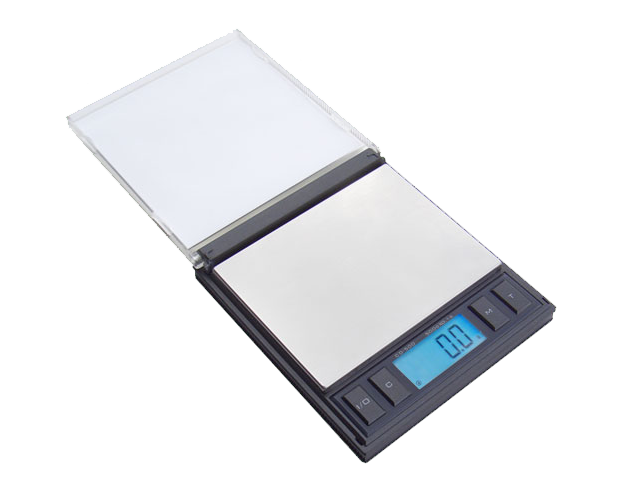 Avoid unwanted attention with this secret digital scale fashioned like a CD. Put your favorite album insert in the front to make the scale unrecognizable. Accurate to .1 Grams.